Description: From 3 to 10 feet tall. 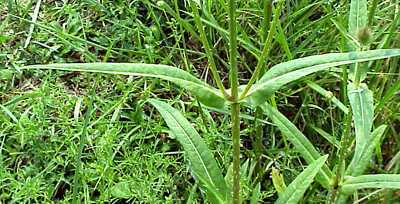 Leaves are long lance like(see Image below), prickly, in pairs, large and sometimes fused around the stem. 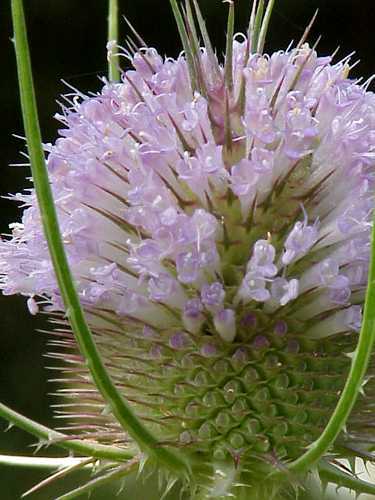 Stem is prickly also. Flowers may be blue pink or white, flowers start blooming in the middlew of the flowering head and spread outward and downward. 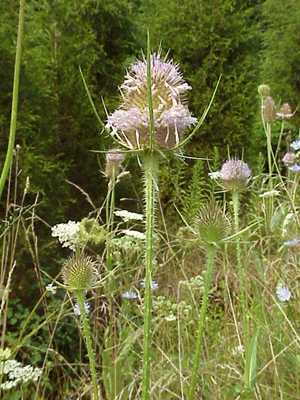 Heads are often used in flower arrangements and for making teasle people!